Tara Whitsitt is a social activist, artist, and food preservationist who moved from Brooklyn, NY to Oregon a year and a half ago with hopes of becoming more involved in the local food movement and practicing ferments full time. 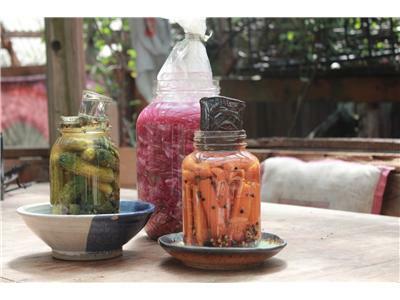 After farm hopping in Lake Creek Valley, an hour west of Eugene, OR, Tara further developed a fermentation project she had started in Brooklyn called Bitter Earth. Bitter Earth hand harvests herbs, honey, and produce, and encourages a richer way of consuming nature's bounty through the preservation of local, organic foods. 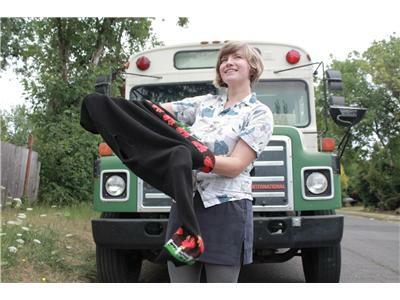 Since then, Tara's passion for fermented foods and sharing knowledge on the importance of eating locally grown, pesticide-free food has spawned her latest project Fermentation on Wheels, which will begin a nationwide tour this fall. 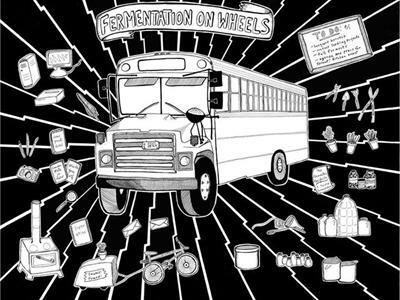 Fermentation on Wheels is a project focused on free food education for people of all ages. Tara describes her mission as an effort to, "support micro-agriculture and local economies, focus on sustainable, organic foods that teach healthfulness, and promote the use of fermentation to preserve farm fresh foods that can be enjoyed year-round." 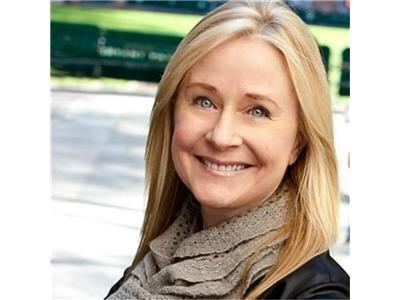 Tara is now based in Eugene, OR. You can find out more about her work by visiting www.tarawhitsitt.com.